Want to help your students use relevant supporting details? This writing lesson includes all the printables and directions you need to teach this important writing standard. Have a great Thanksgiving with family and friends! You’re not alone in the teaching world! 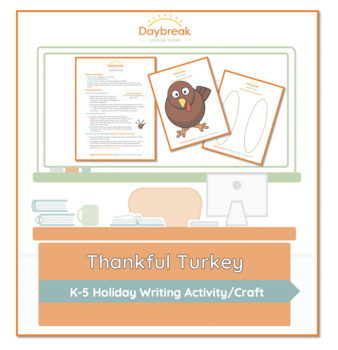 You have a friend at Daybreak Lesson Plans, a team of seasoned teachers working to give you access to quality lesson plans when you need them the most. Connect with us on Facebook, Instagram, and Twitter to join a community of teachers just like you!